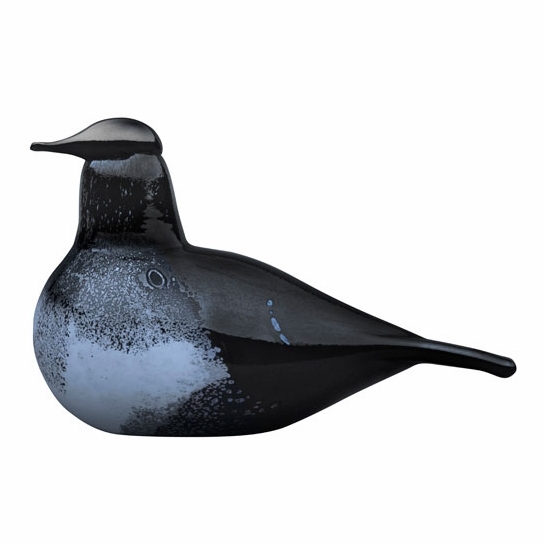 More about iittala Toikka Black Phoebe FinnFest 2012 Bird Designed to celebrate the annual festival of Finnish-American/Finnish culture and heritage, the 2012 FinnFest bird is the Black Phoebe, a small black-and-white flycatcher of the Southwest. Easily recognized by a characteristic �tail-wagging� motion, the black phoebe can often be found around people in nature. 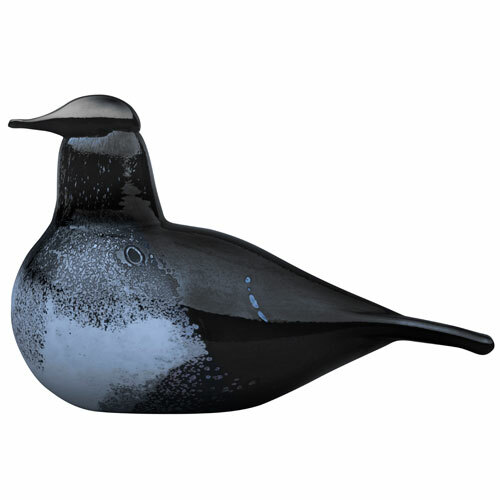 Dark black-brown glass is peppered with a soft grey along the breast of the bird, while the cloudy white underbelly is infused with blue. 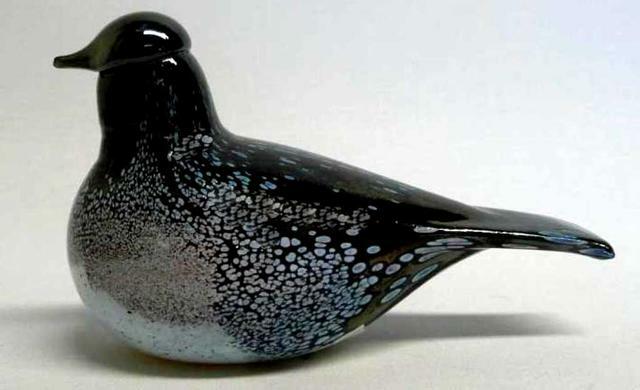 It was only available in 2012 in the USA to celebrate the 40th Anniversary of the Toikka birds.